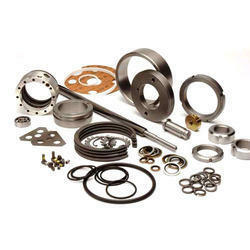 Offering you a complete choice of products which include replacement screw compressor spares. Owing to our years of experience and in-depth industry knowledge, we are able to manufacture, supply, trade and exporting Replacement Spares. Precisely designed, all our spares are manufactured, using quality-approved steel and other material, obtained from the certified vendors. In addition to this, our spares are thoroughly checked by expert professionals on certain well-defined parameters to ensure flawlessness.